I'm eyeing on getting the SD Nazgul bridge for my RGA32 but I'm torn between the Sentient and the 59 Neck. I ditched the Nazgul plan and when on to purchase a Dimarzio Crunchlab in good condition. A good high output ceramic pickup naman talaga hanap ko. I'm on the hunt for an SD 59 or Sentient, or a Dimarzio Liquifire. Nagandahan ako sa Crunchlab. Malinaw. Liquifire din, like a less boomy Air Norton. Heard it live a few times through Albert of Timelight Panorama. Ang linaw nga ng chords nya even in high gain. sa SD Jazz Neck ko naman narinig yung ganun. high gain, pero sobrang linaw ang pronounced ng notes! 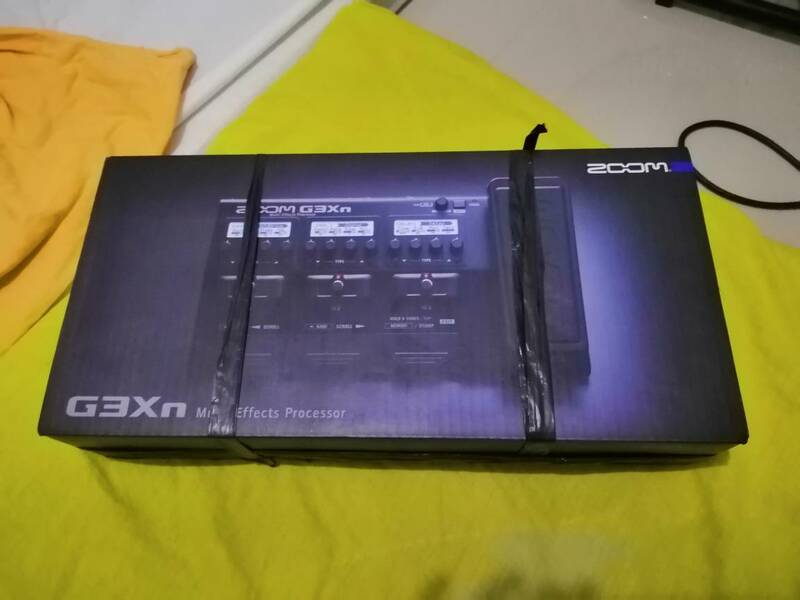 Well, im choosing between zoom g3xn and boss gt 1. Sound wise at effects wise. Mahilig kasi ako sa modulation lately and di ko mkuha ung hinahanap kong sound sa me80 kaya binenta ko. And gusto ko yung tipong kasya lang sa gigbag ng gitara para isang bitbitan na. yung GT1 tho, sobrang "Back friendly" hahaha ang liit eh! be wary lang sa G3Xn, daming tinanggal na features from the G3X. the no XLR output was a no-no for me hahahaha pero I heard maganda quality ng tunog ng G3Xn. good luck! durability nalang ang labanan niyan. Di ko pa natetest since binili ko kasi busy pa haha. Pero looper pinakanamiss ko dito. may looper parin yan bruv. play around with it! Who is the better local guitar gigbag maker? Do you mean all of them have the same quality? quality. yes. they're all good. My Baluti guitar bag is still in pretty good shape in 6 years of service. My friend has a Lenar Bass guitar bag and still looking good. Another friend have a rockbox guitar case. Still in good shape. Everything will fall on your taste. I mean not all of them have the same design. Copy that sir. Thank you. Chck mo si JMC Bagexpert. Bad Behavior has blocked 48055 access attempts in the last 7 days.